Recently, an increasing number of novels and TV series such as Outlander use Gàidhlig phrases and other aspects of Highland culture, which has helped popularize Scottish history. 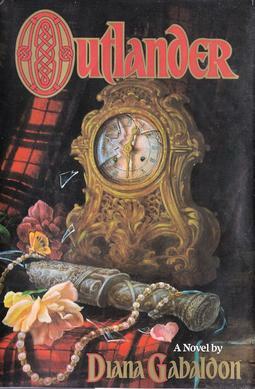 The Outlander novels, written by American author Diana Gabaldon, are science-fiction novels taking place in the late 18th century in the Highlands of Scotland. The books give a highly authentic picture of what it was like to live in mid-18th century Scotland. To be as historically accurate as possible, the books and TV episodes are filled with Gaelic phrases and dialogues. TV producer, Ronald D. Moore, even hired a Gaelic coach, Adhamh O Broin, to teach actors the correct Gaelic pronunciation. 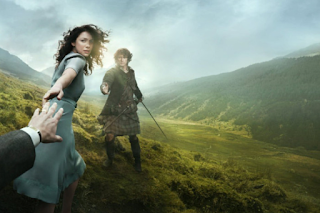 And since the beginning of the diffusion of the show in 2014, locals and foreigners have become more and more interested in Scottish Gaelic folklore. The Gaelic expert, Adhamh O Broin, has also created short videos (see below) for fans to learn basic words in Scottish Gaelic. He hopes that more people will start learning Gaelic and become sensitive to the need for greater revitalization of the language. Over the past decades, there has been a push towards the revitalization of Gaelic. The creation of the Gaelic Medium Education (GME), in 1985, was the first legislative support for the language. Gaelic Medium Education, promotes the learning of Gaelic from pre-school education to higher education, with an increasing number of schools teaching Gaelic, and offering immersion. Edinburgh’s first Gaelic school opened its doors in 2013, along with the first Gaelic medium primary school department. This acquisition planning has also given opportunities to independent companies and has seen the creation of online schools such as the Atlantic Gaelic Academy, which offers online Gaelic language learning courses (Smith, 2000). In a spectacular move, the Scottish government passed the Gaelic Language Act of 2005 so that Gaelic would become one of the official languages of Scotland, and to help increase the number of people speaking, using and learning Scottish Gaelic. Bòrd na Gàidhlig, an executive language planning body, was then created to supervise the promotion of the Gaelic language. The Board also gives the language equal status with English. It wants to encourage the use of Scottish Gaelic, and facilitate access to Gaelic language and culture (Bechhofer & McCrone, 2014). There are also new resources to promote Scottish Gaelic (Nance, 2015). The Digital Archive of Scottish Gaelic was founded in 2014. It provides digitized texts and lexical resources for the language. A new online dictionary of Gaelic is also on its way. This is a new collaborative research project that “aims to provide a new online directory of Gaelic recordings, particularly those pertaining to the folklore and ethnology of Gaelic communities in Scotland, Ireland and elsewhere” (Digital Archive of Scottish Gaelic (DASG). University of Glasgow [accessed 02 April 2017]). Add to this a renewed interest in Scots Gàidhlig culture and it can be seen how language is fundamental to the revitalization of Gaelic. The rise of Gaelic media, such as radio, internet, and television, definitely helped (Moriarty, 2009), not to mention the Gaelic Television Fund set up by The Broadcasting Act back in the 1990s. Annually, there are 300 hours of programming broadcasted on television to help with the spread of revitalization of the language. The creation of BBC Alba in 2008 was also a major step. The BBC Alba is an all-Gaelic television channel aimed at “reflecting and strengthening Gaelic cultural heritage and promoting awareness of it across the UK” (BBC Trust 2016). Of course, Gaelic revival is also an asset to tourism and the hospitality industry. The hope is that exposing millions of people to the Gaelic language through any media at all will help awareness and mobilize people. Time will tell if focus on folklore can help advance the cause of Scottish Gaelic. At the point where we are now, it definitely promises to widen the base of committed future language learners who certainly do not wish for the tale of Scottish Gaelic to end as has happened for many other minority languages across the British Isles; English became the pervasive language throughout the country and, thus, minority languages began to die out. In recent years, there has been a decline in the number of Scottish Gaelic speakers from 1.2% in 2001 to 1.1% in 2011, according to the 2011 Census in Scotland on Ethnicity, Identity, Language and Religion. However, there is also some good news in the numbers: compared to the 11% drop in overall speakers recorded in the previous census, there was a 0.1% increase in Gaelic speakers under 20 years old. 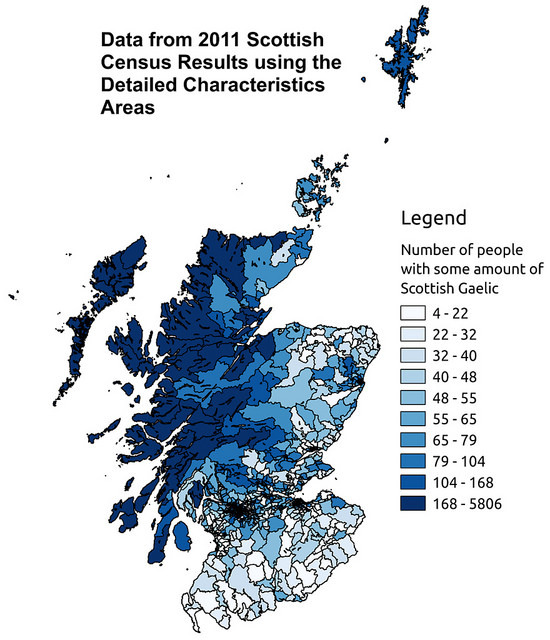 Overall, in 2011, 1.7% of the population could say to have some knowledge of Scottish Gaelic, which is not too bad for a minority language that is on the UNESCO’s endangered languages list (see figure from the Atlas posted below). To conclude, based on what precedes, there is good reason to believe that the story of Scottish Gaelic is not yet over. Bechhofer, F. & McCrone, D. (2014) What makes a Gael? Identity, Language and Ancestry in the Scottish Gáidhealtachd. Identities: Global Studies in Culture and Power 21(2), 113-133. Gaelic Language (Scotland) Act 2005 2005 Gaelic Language (Scotland) Act 2005. http://www.legislation.gov.uk/asp/2005/7 accessed April 3rd 2017. Moriarty, M. (2009). Normalising language through television: the case of Irish language television channel, TG4. Journal of Multicultural Discourse, 2(4), 137-149. Nance, C. (2015). 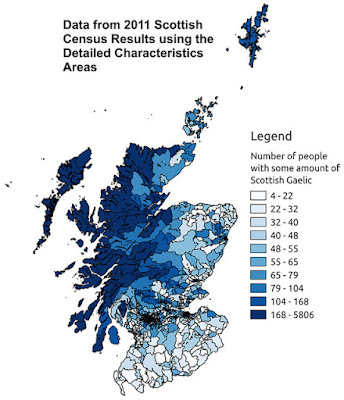 ‘New’ Scottish Gaelic speakers in Glasgow: a phonetic study of language revitalization. Language in Society, 44, 553-579. Smith, R. (2000). Preserving linguistic heritage; a study of Scots Gaelic. International Journal on Minority and Group Rights, 7, 173-187. Camille Méritan is a graduate student in French Second Language Acquisition and Teacher Education. She is planning to take her preliminary doctoral dissertation exam in December 2017 and pursuing a career in academia. She wrote this text while enrolled in the 418 ‘Language and Minorities in Europe’ course in the spring of 2017.